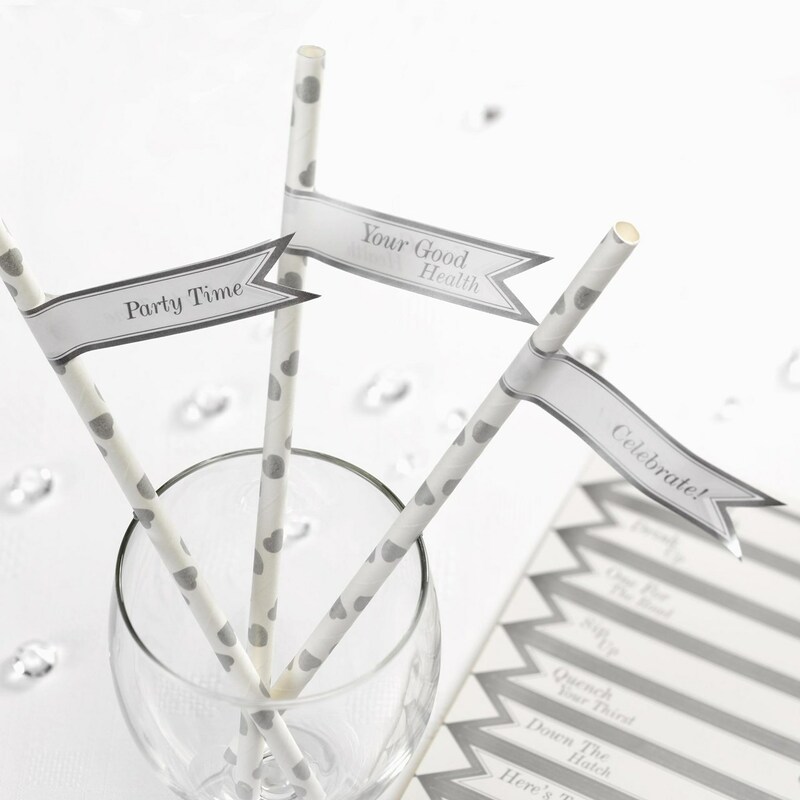 Make your party drinks come to life with these straw flags, which can be used alongside the Vintage Romance paper straws. Each flag is inscribed with a celebratory message, such as ‘Party Time’ and ‘Your Good Health’. 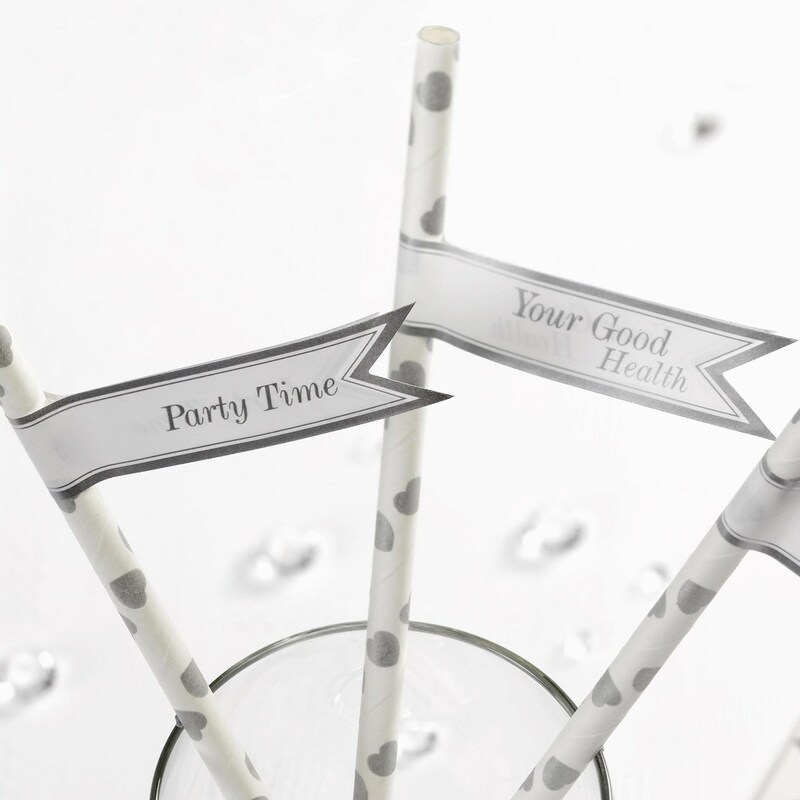 Attached to the co-ordinating heart straws, these flags make a real statement and will enchant both little and grown-up guests. Each pack contains 30 flags.